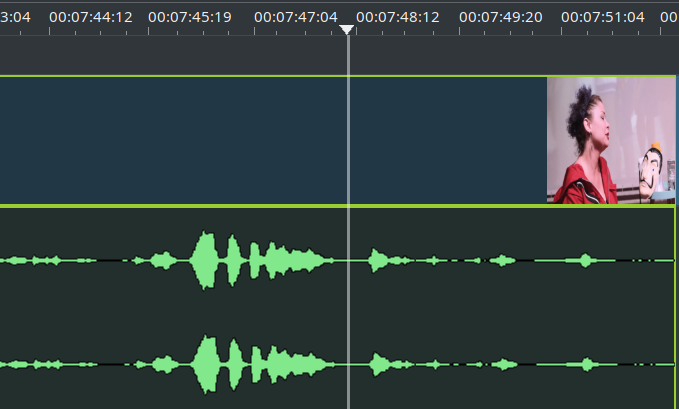 There's a problem... when I have to cut a clip in the timeline based on the audio wave form it's very hard to see it overlaying on a thumbnail and I don't want to switch off the thumbnail. Proposal: A new setting which hides the thumbnail when a clip in the timeline is selected/highlighted. This would be very useful for screen cast. Usually the screen changes slowly and most of the editing works are done based on the speech. But I find the thumbnail useful for identifying clips. It would be great if the thumbnail can be temporary hidden, e.g. when a clip is selected/highlighted. 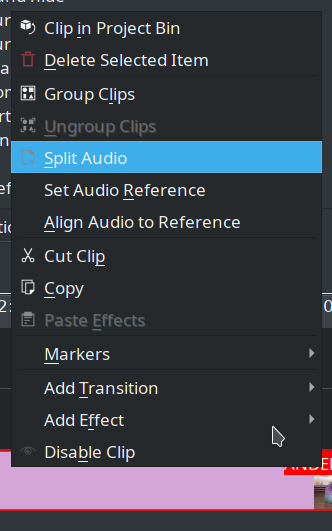 For the time being you can separate the audio and video tracks by right clicking on it in the timeline. OK, now I got your point :-) I misunderstood that the timeline will only show either one. Thank you for the tip. That helps a lot.